Microsoft is planning to release build 14936 for PC and mobile build 10.0.14936.1000 for Fast Ring members. Meanwhile, the Windows insider team is testing Windows 10 PC build 14937 and mobile build 10.0.14937.1000 internally. The latest internal build is compiled on September 26, 2016. Microsoft also released new Windows 10 Cumulative Update PC build 14393.222 and Mobile build 10.0.14393.221 for Preview Branch and Slow ring members. For Windows 10 1607 Anniversary Update users, insider team is working on cumulative update build 14393.314. 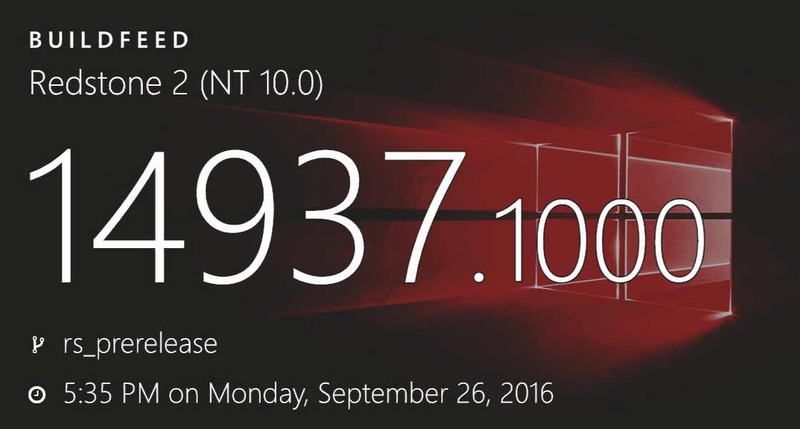 The company is also testing cumulative update build 10586.596 for Windows 10 1511 Threshold 2 PC and Mobile users.